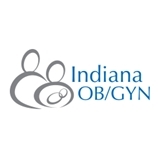 Indiana OB/GYN (Indianapolis) - Book Appointment Online! Welcome to Indiana OB /GYN. We are a well established obstetrics and gynecology practice based in southside Indianapolis. We know women's health needs across different age groups and promise to provide you with a unique one to one care for you and your family. Our Physician Dr. Swati Jain is a very experienced Obstetrician and Gynecologist . She is Board certified by American College of Obstetrics and Gynecology. The practice provides a full range of services in obstetrics and gynecology including infertility, menopause, high risk obstetrics and adolescent care. To better serve you we have moved to a brand new convenient location on 7830 Madison Avenue, Indianapolis, IN. If you are looking for a compassionate expert obstetrics or gynecological care provided by highly experienced physician and staff, please call and make an appointment.